Last week I attended the G.H. 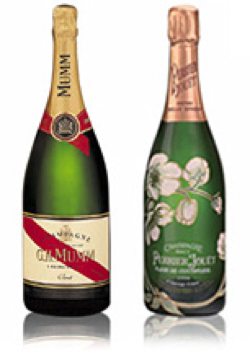 Mumm and Perrier-Jouët Champagne Assembly at the very grand Town Hall Hotel in East London. I took with me my best friend (also called Ruth, which can get a bit confusing) who is a bit of a wine buff and currently finishing off her wine diploma. Now Ruth and I are rather terrible when we get stuck into the wine, and tend to keep going until one (or both!) of us fall over. Outrageous behaviour for two ladies speeding uncontrollably towards their thirties, but I’m not going to apologise for it; one has to have a giggle now and again. Notice that Ruth started to say “we’re going to have to spit…” which she followed up with “and not swallow” a few seconds later, off camera. That’s precisely the kind of mature and sensible banter that you can expect from us when we’re together. Anyhow, on with the show! You can probably guess that we got progressively more and more tipsy. But enough about us – let’s talk about the assembly! 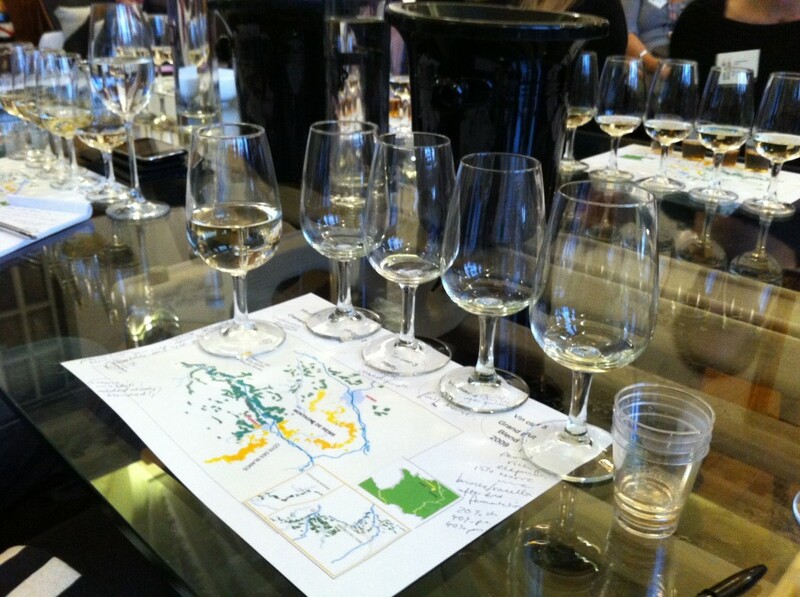 Now I’m not going to go into a great amount of detail about the tasting, because hopefully Other Ruth will write up her findings and post them on her soon-to-be-launched wine blog, but for now, let me just give you a little tip if you find yourself at a tasting session. Spit, don’t Swallow. If you, like me, just sit there merrily sipping away, you will get utterly plastered. To be fair, I only sipped a tiny bit from each glass – not even a proper sip – but I still felt tipsy. Other Ruth pretty much polished off each and every glass in front of her, but she did a lot more spitting than me and she’s made of sturdier stuff when it comes to alcohol consumption, so she was fine. 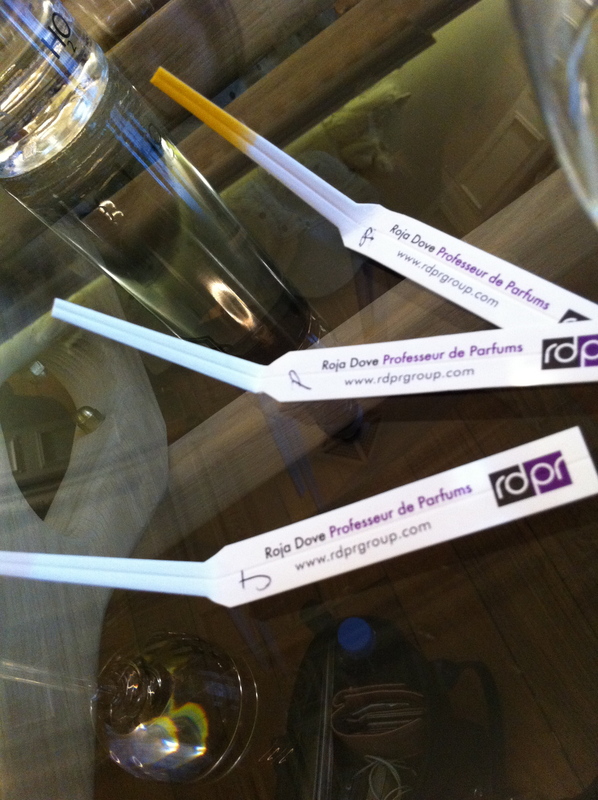 I’m getting very sidetracked here, talking about tasting and spitting and whatnot, when what I really want to talk about is the fragrance blending workshop led by haute perfumer Roja Dove. Roja is the most quoted fragrance expert in the world, and he is an absolute master of storytelling, with a wonderful anecdote about each and every perfume and raw ingredient. I felt absolutely privileged to be part of his fragrance workshop and it was really one of the most enlightening experiences that I’ve had in a long while. Roja took the Assembly guests on an incredible sensory journey – sorry if that sounds a bit corny, but it’s true! He orchestrated a ‘synchronised sniffing’ of a number of different aroma samples to demonstrate how different fragrances can affect one another. We first sniffed Jasmine (his Jasmine costs £32,000 per Kilo) with our eyes closed, and then keeping them closed, sniffed Rose de Mai. It was really quite amazing how different the ‘raw’ ingredients smelt individually to how they smelt immediately after one another. The Rose de Mai seemed to calm or ‘cool’ the Jasmine, whereas the Jasmine ‘enlivened’ the Rose de Mai. Similarly, Patchouli sniffed immediately after Bergamot smelt exactly like damp woodland Earth. An interesting sidenote about Patchouli; Roja pointed out that many people are snobbish about Patchouli and I had to admit that I certainly am! It reminds me of shops that sell healing crystals and cheap incense sticks! But Roja cited Patchouli as one of the most important ‘ingredients’ in fragrance – it’s very deep and earthy, and instantly ‘connects’ the senses with nature psychologically. Sniffed in its pure form, it was delightful. Roja takes anything between 6 and 24 months to work on a scent, and it’s not difficult to see why. There are over 3000 ‘aromas’ in existence, so that’s a lot of possible combinations! Each and every time that Roja works on a fragrance, he has to try and ‘imagine’ something absolutely unique, a scent that nobody has ever experienced before. To demonstrate just how difficult this is, Roja got us all to do this little exercise – you can do it at home, too! Close your eyes and try to imagine a colour that you have never seen before. It can’t be like “a peachy coloured cream” or “a greenish black” – it has to be something entirely new. Hard, right? Now try to imagine a sound that has never been heard before. So not a “clonky scrape” or a “gravelly whine” – a sound that is totally alien to you. It’s pretty much impossible! Roja said that creating a fragrance was rather the same. What a clever, clever man. I feel very inspired by Roja, and I’m going to go and visit his Haute Parfumerie at Urban Retreat in Harrods next week to have a sniff around. 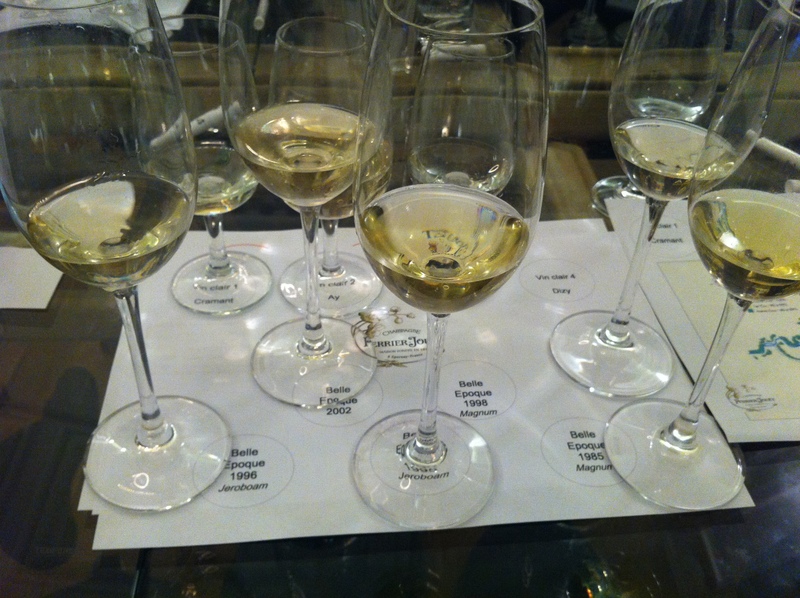 Thanks so much to the Champagne Assembly organisers, it was a very informative day! If you’re interested in wine then look out for Other Ruth’s write-up – I’ll put up a link once she’s got her website sorted out. Hurry up Other Ruth! Previous Post Losing Lashes – a cautionary tale.